Read 2 times. Last read January 10, 2019 to January 18, 2019. I'd almost forgotten how much I love these characters. Scarlet and Wolf are a both a little darker than the other characters, but Meyer makes you fall in love with them, just the same. As always, Rebecca Soler is a fantastic narrator. She brings these stories alive! 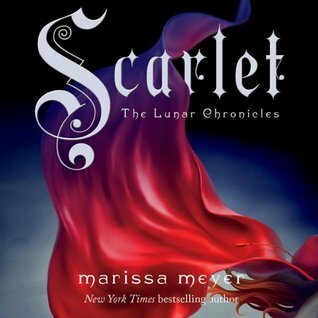 Sign into Goodreads to see if any of your friends have read Scarlet.